Professor emerita in the Faculty of Education at the University of British Columbia, Thelma Sharp-Cook, built a career distinguished by her persistent efforts to make studies at UBC more accessible to Aboriginal students. Drawing on her own personal experiences as a graduate of UBC’s Bachelor of Education program in 1958, she has been able to remove many of the barriers to post-secondary education that students previously experienced. Sharp-Cook initially joined the Faculty of Education as an assistant professor in sociology and education, where she impacted students as an educator. During her time as the director of the Native Indian Teacher Education Program (NITEP) she assumed responsibility for raising scholarship and bursary funding for Aboriginal students. Her success allowed countless students to access quality education that had previously been out of reach. These efforts earned her the Women of Distinction Award from the YWCA in 1987. Sharp-Cook was instrumental in creating Wesbrook Scholars, one of the university’s most prestigious awards. Through her position as chair of the Senate Awards Committee, she established this award in order to support outstanding graduating students that have shown a commitment to community service. Following this success, Sharp-Cook continued her fundraising work, which led to the creation of the Thelma Sharp Cook Scholarship, an award that recognizes leadership, athletic achievement, and community contributions alongside academic standing. 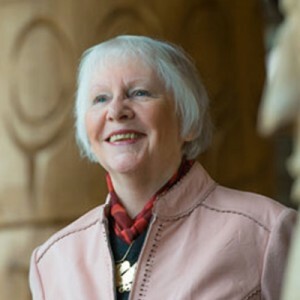 Sharp-Cook served as president of the UBC Association of Professors Emeriti and as governor and chair of the Leon and Thea Koerner Foundation. In recognition of her lifelong community service and dedication to the university, Sharp-Cook was given the Faculty Citation Award by the UBC Alumni Association, and was recently honoured with carrying the UBC mace during graduation ceremonies. Though now retired, she continues to give back to the university as a member of the President’s Committee on Campus Enhancement, the UBC Dean of Education’s External Advisory Committee, and the UBC Advisory Committee on Heritage Policy.